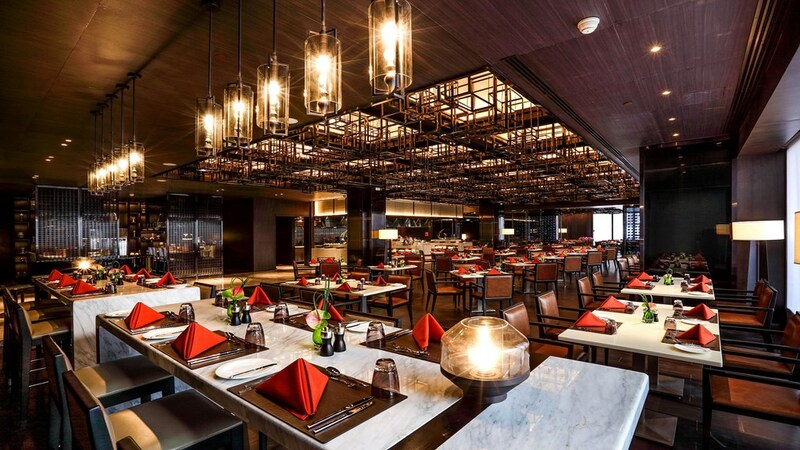 Beijing, China, 2018-Jul-31 — /Travel PR News/ — Kempinski Hotel Beijing Lufthansa Center is pleased to present its new gourmet restaurant, Signature’s. As a contemporary all day dining restaurant with an open kitchen concept, Signature’s will serve European food with authentic international highlights. The menu was curated by a collective team of chefs from over 7 different countries. It features a classic Kempinski-style breakfast, unlimited semi-buffet business lunch and à la carte dinner. In celebration of its new launch, Signature’s will offer a 10-course Tasting Menu featuring highlights of its à la carte menu for RMB 288/person. The idea behind the new dining concept is to create authentic European dishes and mixed international cuisine in a elegant, upscale, yet comfortable atmosphere. As part of the core values of Kempinski’s unique “7 Touches” approach, the European breakfast buffet (6:00 am – 10:30 am) will also have a pass around of baskets filled with freshly baked breads and sweets every 20 minutes for guests to choose from and offer a range of organic and fair-trade products like honey in its purest form; inside honeycombs . The other five ‘touches’ include a Swiss, homemade, chocolaty hazelnut spread; fiber-rich Kempinski Bircher Muesli; fresh juice made from seasonal fruits; vitamin-infused, heavily concentrated, juice power shots; and finally locally inspired Asian specialties and delicacies. The health-focused unlimited semi-buffet lunch (11:30 am – 2:30pm) boasts a wide-selection of hot and cold dishes, salad bar and dessert spread. Guests can also expect Indian tandoori-made specialties like buttered chicken, crisp, freshly baked, Indian naan bread, steamy dim sum and a noodle bar. Along with the buffet options, guests can choose any one entree from the à la carte menu. All dishes are made to order and cooked to preference. Along with the live-cooking station, open kitchen and Indian tandoori station, Signature’s à la carte dinner (5:30pm – 10:30pm) menu will feature international classics with a modern twist together with its Six Signature dishes; the Pretzel Burger, K’s Super Salad, Frank’s Chateaubriand, Salmon Coconut, Yellow Tuna Loin and a Kempi Chocolate Brownie. Kempinski Hotel Beijing Lufthansa Center’s Executive Chef Michael Kreiling defines Signature’s as a “Chef-driven and ingredient-focused” restaurant serving “Fresh and honest food”. Kreiling, who hails from Germany and has worked in hotel restaurants around the world, aims to make the restaurant a “part chic, part fun affair.” Signature’s Chef de Cuisine and Serbia native, Milan Cotra, has already developed his commitment to the restaurant’s chef and concept focus. He states “Our mixed and matched culinary leaning comes from genuinely playing with and perfecting local dishes. I value taste over extravagance. This is not a fusion restaurant but what we serve is creatively playful and not your average classical dish”. Cotra, having worked and lived in as many as four continents ranging from Canada to Tanzania, France to the entire Balkan region and now Asia and China, touts special knowledge of the classic dishes of each country. He furthermore adds “From secret recipes to sensuous combinations, we practice a free-rein take on ‘traditional food’. I want our dishes to be where cultures collide”. Chef contributors to Signature’s rounded menu also include Vipul Sana, Signature’s Indian cuisine specialist serving up freshly baked naan bread and original Indian dishes every day. Kempinski Hotel Beijing Lufthansa Center is the perfect mix of luxury, convenience and cultural diversity under one roof. The hotel is located in the heart of Beijing’s diplomatic and business district, and is only a 20-minute drive from Beijing Capital International Airport. Kempinski Hotel Beijing has 480 well-appointed guestrooms and suites, ten fully equipped banquet/conference facilities and seven stylish and authentic restaurants and bars. The hotel provides its international leisure and business guests with European-style service. The hotel is also part of the Beijing Lufthansa Center complex, which incorporates offices, apartments, and showrooms, as well as You Yi Shopping City, banks, airline offices, a 24-hour medical center, a health club and a kindergarten. This entry was posted in Food & Drinks, Hotels, Luxury, Travel, Travelers and tagged Beijing, Chef Michael Kreiling, gourmet, Kempinski Hotel, Lufthansa Center, Milan Cotra, restaurant. Bookmark the permalink.